The American League East-winning Red Sox are headed for the postseason, but designated hitter David Ortiz’s illustrious career is also nearing an end. Ortiz will play his final regular-season game Sunday, and despite his age (40), he has been the top hitter in Boston’s major league-best offense this year. With the offseason approaching, the Red Sox will soon need to find a replacement for Ortiz, which is something their pro scouting department has been working on since August, writes Evan Drellich of the Boston Herald. “We’ll do all that coverage in August and September,” general manager Mike Hazen told Drellich. “You have a month-and-a-half to scout the major leagues before you switch gears (to prepare for the playoffs), and if you’re not advancing, then you do it for all September.” While the Red Sox are looking into free agent options to take over for Ortiz, they’ll also consider moving first baseman Hanley Ramirez to DH on at least a part-time basis, per Drellich. Ramirez has bounced back from a dreadful 2015, his first season with the BoSox, to post a .286/.360/.500 line with 29 home runs in 616 plate appearances this year. His time at first base has also gone better than last season’s disastrous experiment in left field, though advanced metrics like Defensive Runs Saved and Ultimate Zone Rating still give him low marks. Closer Craig Kimbrel has scuffled over the past week, but manager John Farrell said Saturday that he isn’t considering flipping him and red-hot setup man Koji Uehara for the playoffs. “At this moment, no,” Farrell told Scott Lauber of ESPN.com. The Red Sox will instead focus on fixing a flaw in Kimbrel’s delivery that has caused the longtime late-game ace to move “a little side-to-side,” per Farrell. “You get into some bad habits when you get a little rotational. I felt like tonight I was a little better,” said Kimbrel after taking the loss, 4-3, to Toronto on Saturday. Kimbrel walked a batter, threw a wild pitch and yielded the deciding run in the ninth inning. The 28-year-old has allowed at least one earned run in three of his previous four outings, but he hadn’t surrendered any in a 16-appearance streak that spanned from Aug. 13 to Sept. 22. Although catcher Christian Vazquez has totaled just eight at-bats since the All-Star break, the 26-year-old might crack the ALDS roster as Boston’s backup to Sandy Leon, per Chris Smith of MassLive.com. Of the Red Sox’s reserve backstop options (Ryan Hanigan and Bryan Holaday are the others), Vazquez could stand the best chance of countering Cleveland’s base-stealing prowess. The Indians rank fourth in the majors in steals (134) and third in FanGraphs’ BsR metric, while the strong-armed Vasquez has thrown out 41 percent of baserunners between Boston and Triple-A Pawtucket this season. Hanigan has helped prevent 7-of-25 runners from stealing this year, while Holaday has stymied a more impressive 8-of-22. And where will Sandoval play? 3B over Holt/Shaw ? I’m thinking of a deal for Freddy Freeman myself. I’d like another lefty bat in the line up. They are not trading Betts for anyone. Why do people still include him in these hypotheticals. He is untouchable, so no it will not have include Betts. Betts > Freeman anyways that makes no sense whatsoever. Stip thinking any trade the Red Sox want to make will have to include Betts. And I don’t think you read His post. 2 – If such a Ridiculous offer was made and the Braves turned it down, their GM should be fired. No they can’t. Freeman is untouchable. Just like Betts is for you. So where does that leave Sandoval? Playing him at 3B is not going to be good for them defensively and they are going to expose him to risk. Because the second he starts playing better, he’ll put all the weight back on plus another 10 pounds of spite weight. I figured they would use him at DH. I think he can still hit. Just going to be a liability at 3B. Or do you think they don’t see him in their future? Soon to be cut next year unless he builds the slightest value to be traded for something rather then give him away for nothing. I firmly believe his time with the Sox is over they just want to try to get something out of there investment before he isn’t in the league anymore. I’ve figured that they would slide Panda to first (less range needed) and move Hanley to DH, where he’s thrived, even though it’s a small sample size. That would leave 3rd open, with plenty of current players that can potentially take over the full time role…or turn it into a platoon position (Shaw, Moncada, Hernandez, Dubon, etc..). Plus we have Sam Travis in the pipeline. He may be ready in the next year or so. This is all assuming that Dombrowski doesn’t unload the farm system for a pitcher and/or position player this winter. Sandoval, in my eyes, is far from a lock except for his ridiculous salary. I would play Shaw or Holt over Panda any day. They can try to find a team foolish enough to trade for him or keep him as a reserve. In two years, he’s a) played poorly b) gotten hurt and c) gained a ton of weight. They need to part ways. It’s a good year to be a baseball fan. 2017 will be a lot cleaner without cheaters like A-rod and Ortiz. 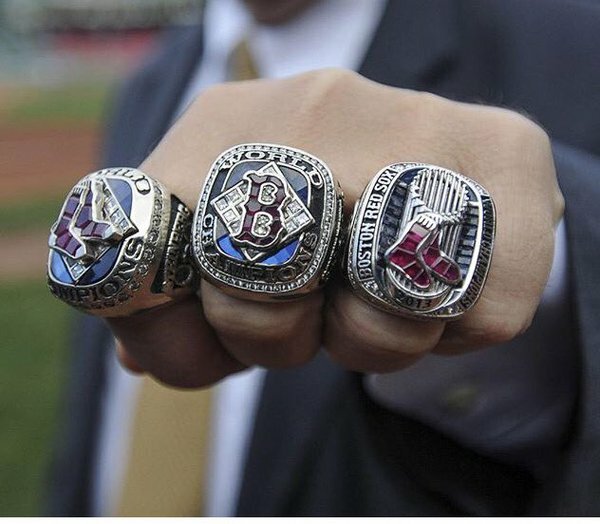 And before any Red Sox hypocrite attacks for calling David Ortiz a cheater. Guess what he failed a drug test in 2003. Now I know he said he’ll find out what he failed and whatever and get back to us. Well he still hasn’t and it’s been 7 years. Also I know you’ll say he hasn’t failed a test since. Guess what also, a bunch of players were caught years ago and suspended yet NONE of them were suspended because of a failed test. If they didn’t fail a test, then HOW were they caught? And what players are you referring to? yanks02026, I’d stay away from this one. I don’t like Ortiz any more than you do, but let the Red Sox fans have their hero. Source that they hold the “record”? Lol. Can’t compare Utility players cheating to Allstars (yes I know Pettite, Clemens, A-Rod were stars). But if you want to see a team who had a bunch of all stars cheat, it’s probably the Texas Rangers that lead there. By the way, George Mitchell worked for the Sox and got his names leaked from a Yankees former trainer. Don’t you expect the Yankees to lead that list? Plenty of names are left out from all teams, including Yankees. Here’s the thing. We Yankees fans, almost to a person, were big Pettitte fans, even when be publicly admitted use. We liked him, we forgave him, we rooted for him. Red Sox fans are doing the same thing–the only difference is that many deny Ortiz ever did anything–and, if he did, they would forgive anyway–because they are fans. Brewers fans did the same thing with Braun, until the evidence was undeniable. The real question is going to be what happens when Ortiz is up for HOF, and from my vantage point taking him, and leaving out Bonds, Clemens, etc. would really be wrong. HOF? I’m not sure. Edgar probably had better stats overall though Papi was one of the most clutch players in history. 50/50 chance I think he makes it. You’re an idiot. Read the report you’re so happy to bring up. And notice dates. Then read the list of banned substances on said report. The game is not better without Ortiz. Well to the date it is not known what substance caused Ortiz to test positive. That program went into effect in 2005. Not 2003. Are they really gonna have that huge lack of power in the lineup next year? They need to sign Edwin, Holliday, etc. As if that wasn’t going to happen anyway? Should they post when the Yankees retire #2? All for EE as the next Big Papi. RH Power which will be useful both at Fenway and on a left-handed lineup.